The genus Nostoc is a valuable source of a wide spectrum of natural products, which have many different biological activities such as antioxidant, anticancer, anti-HIV, antimalarial, antifungal and antimicrobial drugs. 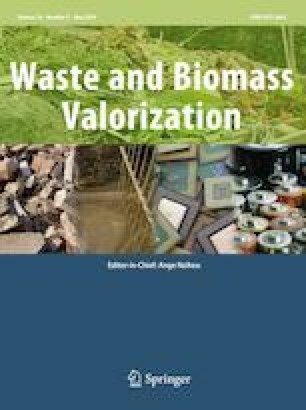 The current work was aimed to evaluate the biological activities of Nostoc muscorum microalga cultivated on different waste water samples (domestic, agricultural and industrial waste water). The algae was cultivated in different kinds of waste water; sterilized BG11 media, non-sterilized treated sewage waste water media (NS-TSW), sterilized treated sewage waste water media (S-TSW), 50% BG11 + 50% sterilized TSW media (50% S-TSW), non-sterilized industrial waste water media (NS-IW), sterilized industrial waste water media (S-IW), 50% BG11 + 50% sterilized industrial waste water media (50% S-IW), non-sterilized agriculture waste water media (NS-AW), sterilized agriculture waste water media (S-AW), and 50% BG11 + 50% sterilized AW media (50% S-AW). The experiment was conducted in triplicate and cultures were incubated at 25 ± 1 °C under continuous shaking (150 rpm) and illumination (2000 lx) for 15 days. The pigments content and biological activity include antioxidant (using diphenyl picryl hydrazyl and 2,2-azino-bis ethylbenzthiazoline-6-sulfonic acid radical methods), antiviral activity against Herpes simplex virus and the cytotoxicity for aqueous extracts in vivo and in vitro assays were determined. The given results reported that use of waste water as media for cultivation of microalgae is a suitable and inexpensive method when compared with ordinary cultivation methods. Also We can conclude that the algal species has high ability to produce active ingredients used as antioxidants and antivirals especially from algae cultivated in S-TSW, 50% S-TSW, NS-AW and 50% S-AW without any toxicity in mice. The authors are thankful to Faculty of Agriculture in University of Cairo and University of Tanta for providing the facilities. Conceived and designed the experiments: MBA, EAS, MAM. Performed the experiments: IAS, EAS, GIM Collection of data: IAS, MBA, EAS, MAM. Analyzed the data: MBA, EAS, IAS, HAE. DAL Contributed reagents/materials/analysis tools: MBA, IAS, EAS, GIM. Wrote the paper: EAS, HAE, DAL. Revising of manuscript: EAS, HAE, DAL. This work was partially supported by a grant from the Science and Technology Development Fund (STDF-Project ID: 312), Cairo, Egypt.